Welcome to Pool City, your family fun superstore. We work hard to bring you the best brands at the lowest prices. Like Jacuzzi, Brunswick, Tropitone, and much more. We have everything you need to have more fun at home. Above ground pools, pool supplies & chemicals, patio furniture, umbrellas, retractable awnings, Weber grills, hot tubs, hot tub & spa chemicals, pool tables, home theater seats, bars & bar stools... the list goes on and on. We are locally owned and operated in Pittsburgh, and invested in our Community. If you find the same product advertised for less at another store, we’ll match their price. 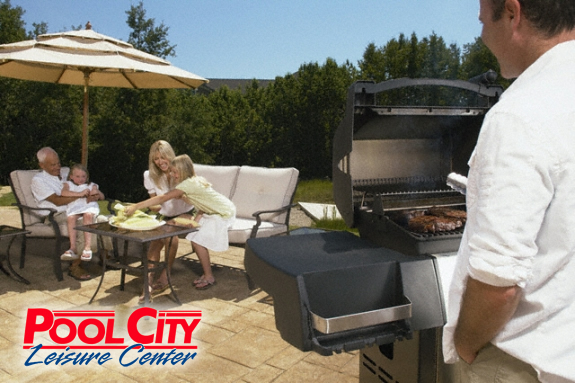 At Pool City, you’ll always find the lowest price. It’s not just a guarantee – it’s a promise. Pool City. Pittsburgh's #1 family fun superstore. If you're interested in a career with Pool City, please stop buy your closest location and apply in person. Thanks for your interest in Pool City, Pittsburgh's #1 family fun retailer.